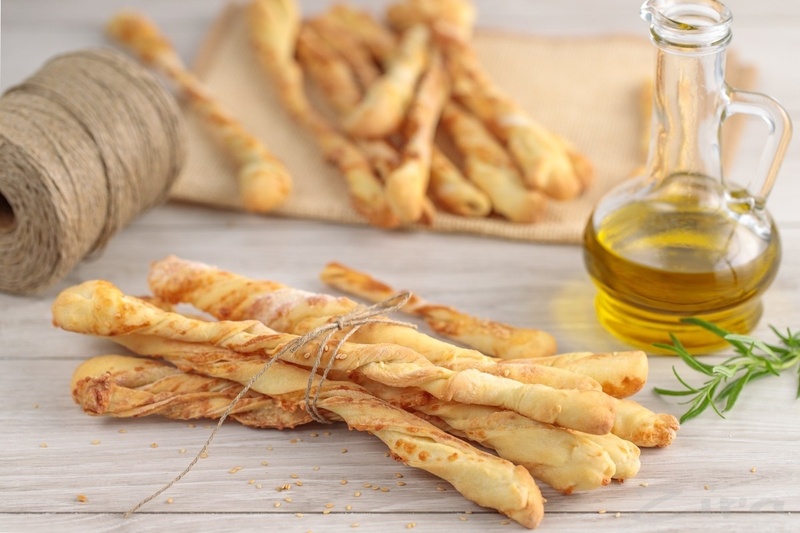 Breadsticks (also known as grissini, grissino or dipping sticks) are generally pencil-sized sticks of crisp, dry baked bread that originated in Italy. It’s believed that it originated in 1643, when a Florentine abbot described a long-shaped and “bone-thin” bread being made in a town outside of Turin. Tradition states, however, that it originated in the region of Piedmont in the 17th century, invented by a baker called Antonio Brunero, from Turin. It was a food that was intended to be easier to digest for the Duke Victor Amadeus II of Savoy, who had digestive problems in his childhood. Breadsticks may be offered at the table in restaurants as an appetizer. In some instances or regions they may be a type that is larger than pencil-sized. They may also be combined with ingredients such as prosciutto as an hors d’œuvre. In many North American restaurants, breadsticks are frequently topped with butter, garlic, and cheese when served as appetizers; as a dessert item, they can be topped with cinnamon sugar and icing. Multihead weigher KATE-210-BR: Designed for accurate dosing of long and thin products (no longer than 180 mm), such as: bread straws, grissini, cheese straws, fish straws, sausages, spaghetti, asparagus, cinnamon sticks, waffles, sticks for dogs, pencils, markers, tubules etc. 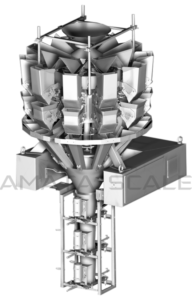 Contains 10 weight pockets and a special system of orientators, which collect the dose in a neat beam. When passing through the grocery tract, individual fractions of straw are sent to each subsequent node in a certain way, which allows to obtain a vertically oriented dose of the product at the outlet.